All Windows operating systems incorporate the ability to protect your files and system through a login screen for user accounts. In this way any user who tries to access your computer must enter the password to log in. 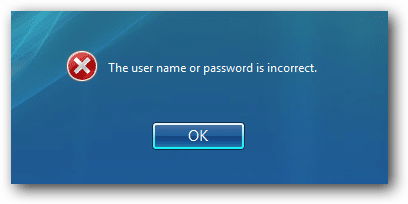 The problem that many users are experiencing is that after restarting their computers and entering their password, they receive the message: “The password is incorrect”. What happens if you have forgotten your password to access the system? This is a problem because we can block the computer if we put the wrong password too many times. The only thing that remains is to change the Windows password. If you are using a Microsoft account, just log on to the official site that is specially designed for password recovery. Basically they are the same credentials as your hotmail. This is one of the advantages of using a Microsoft Account to log in to locked computer. This process we will explain with the Windows 10 system but it is the same as in Windows 8/8.1. What we need is to create a boot disk to delete the current password that we do not remember and add a new one. 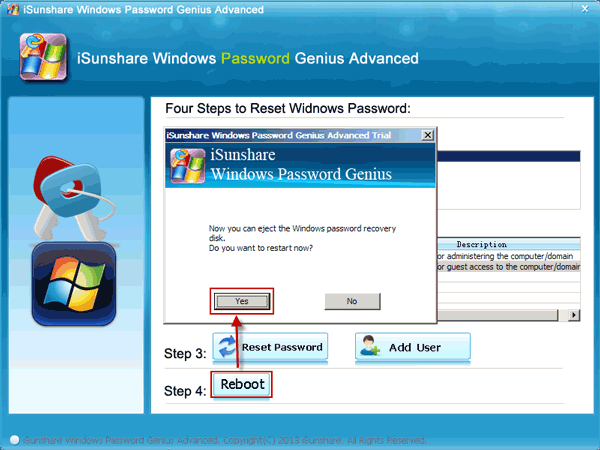 We are going to download a password reset software called Windows Password Recovery Tool. We need to create a boot disk, we can burn this software on a CD / DVD or more convenient on a USB flash drive to boot the PC with it. 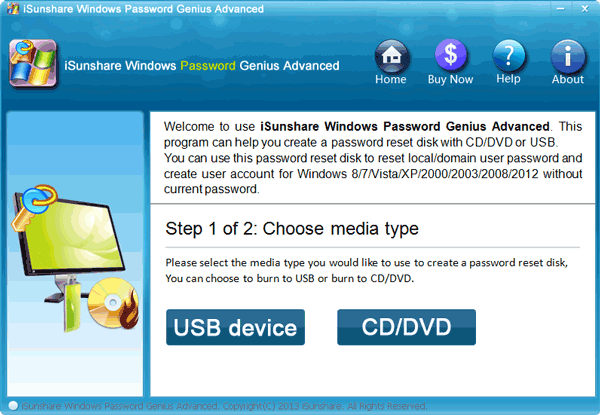 Make sure that the your computer is configured to start from the USB drive or from your DVD/CD. Once the computer starts with Windows Password Recovery Tool, this window will appear below. 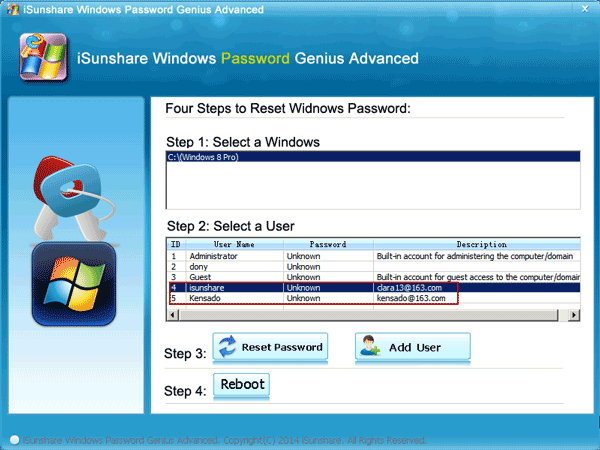 We choose our system and user account we want to reset the password. Now we just have to press the “Reset Password” button and then “Reboot” button for Windows to restart normally. Now your password is blank and you can access into your locked computer without password. It should be noted that users who suffer in this annoying error (This password is incorrect) are those who have upgraded to Windows 10 Fall Creators. Also, it only happens when your computer restarts. Although this error is not something that should alarm you, the truth is that it is quite annoying to have to click on the OK button to finally log in with your user account. What’s more, the fact is that this problem itself is caused by a new feature of Windows 10 Fall Creators called “Improved Boot Experience.” This function of Windows 10 allows your operating system to use the login information to apply settings after a restart or update. This feature ends automatically configuring your Windows 10 computer once an update is installed and your PC is rebooted. How to avoid the error “This password is incorrect” during the restart of Windows 10 Fall Creators. Obviously the first thing will be to go to the Configuration of our computer which we can enter from the Windows search or through the keyboard shortcut: Windows + I key. When the configuration is displayed you must click on “Accounts”. This will take you to a new screen where you will have to access the Logon Options section located on the left side. This will automatically display several configuration options in the right part of the window. Scroll down to be in Privacy in which you will have to deactivate the option that says: Use my login information to finish configuring my device automatically from restarting or updating it. After clicking on the switch to turn it off, you can close the configuration screen and check if your problem has been solved. From this moment, when you restart your computer, in the blocking screen the message should not be shown indicating that your password is not correct. The truth is that the function itself is very helpful and usually does not give any problem at the time of logging. However, if you have problems, you can try to reset your Microsoft user account to make sure that the function performs a correct login.